Lisbeth Melendez Rivera is fighting to change the Catholic Church from within. 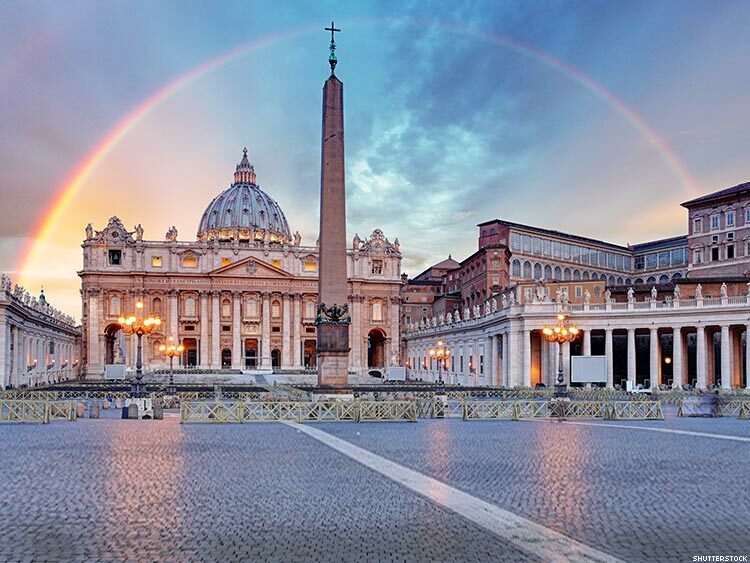 Last week I traveled to Rome to meet up with more than 100 LGBT activists from across the globe, determined that the voices of our Global Network of Rainbow Catholics would be heard as church leaders gathered for the opening of the Vatican’s 2015 Synod on the Family. We represented LGBT Catholics from every continent — Africa to Oceania, and beyond. But we shared one goal: making our presence known to the Vatican, and advancing our efforts to organize LGBT Catholics even in places, in countries and cities, where our lives are in danger. Our focus was two-fold: how do we persuade skeptics that we are true Catholics, invested in the Church, and loving her, but also pressing her to join the 21st-century? And how do we engage with fellow LGBTQI Catholics who have understandably turned away from the Church? We approach those questions with the knowledge that the hurt they and so many of us feel at the hands of successors to St. Peter cannot be overstated. But for me, the Rainbow gathering in Rome — almost literally in the shadow of St. Peter’s Basilica — was incredibly affirming. I grew up Catholic in Puerto Rico, the daughter of devoted Catholic parents and member of a devout Catholic family. While I never wavered from my core Catholic beliefs, I stopped attending services after coming out in my late teens/early twenties. However, I took with me from the Church the ideals of justice, service to the marginalized, and inclusion, and made acting on those ideals my work, my career. I am a human rights activist because I am a Catholic. Joining my global family showed me I was not alone. As an activist and organizer, I was also sometimes bitter, resenting the Church hierarchy for excluding me and those like me from full inclusion in her beauty. Like a jealous husband, men of the Church have tried to keep her pure, untouchable and isolated. It made her feel far away and out of reach. Despite that, I began a journey back to my faith when I joined a project called A la Familia, committed to truthful dialogues at the intersection of faith, sexual orientation, gender identity, ethnicity (Latina/o), and family. This journey back to the roots of my faith led me to my new work, and the founding of the Catholic Initiatives project at the HRC Foundation. Our Rome gathering was the culmination of months of planning during which we sought ways for our supporters in the pews to get involved, an opportunity for our voices to be heard by a worldwide audience, and a platform to keep the spotlight on LGBTQI voices that are too often absent from official discourse. We were in Rome to tell all that we don’t need “fixing,” and that our salvation is not dependent on their prayers, but on our loving God. We, too, have a voice. We too can pray and ask God for wisdom, and for help in opening hearts and minds of the Church hierarchy. They need to hear of the damage rejection causes, and embrace us for who we are. When I returned from Rome, I headed to Wichita, Kan., to kick off our four-city Pray, Listen, Discern tour. HRC Foundation, along with LGBT Catholics and allied faithful are gathering in Wichita, Miami, Providence, and Baltimore this month to pray the rosary and hold vigils as part of a national effort to send a message of acceptance and inclusion during the Synod in Rome. We chose those cities because the bishops there — Bishop Carl Kemme in Wichita, Archbishop Thomas Wenski in Miami, Bishop Thomas Tobin in Providence, and Archbishop William Lori in Baltimore — are among church leaders who have made particularly harsh comments about LGBT people. And we pray the rosary, during Mary’s month, October, so she can amplify our prayers and make our message heard. We know God is sending messages of love and inclusion, not rejection and hate. We were all created in God’s image. We are all loved by God. LISBETH MELENDEZ RIVERA is the director of Latina/o and Catholic Initiatives, HRC Foundation.